If you walk into our new room in New Zealand, without knowing what the space is used for, you would perhaps think that you have stepped into a sports arena! 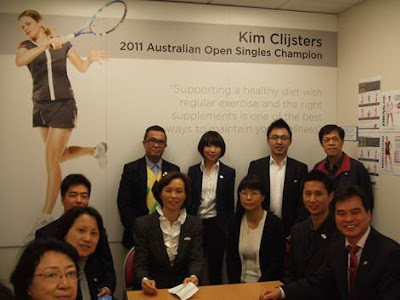 Sam Stosur, Kim Clijsters, Zheng Jie, and New Zealand’s own Martin Knight and Britta Martin… the list goes on. Many of our top WTA Ambassadors and winning Athletes are featured here! If you had the opportunity to meet some of the people who love using this space, you would soon realise that this is a special place for a certain winning USANA Team! Just like our Athletes and WTA tennis Ambassadors, this team is winning-just in a different sphere! Of course you are probably wondering which team we are talking about…Bill and Jenny Huang’s team! The Athletes featured are USANA’s proudly sponsored Athletes and the tennis players are our WTA Ambassadors! 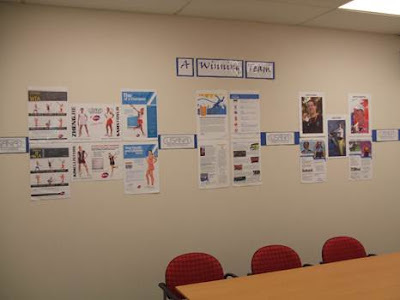 This room has been created especially for our USANA New Zealand Associates. 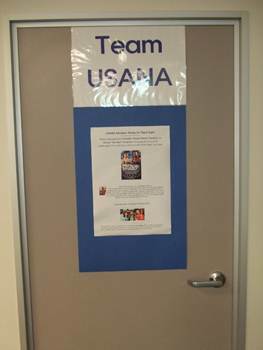 It sits on the second floor of our New Zealand USANA Corporate office in Albany. You can check out the schedule for upcoming events and training on the notice board on the door as well. The athlete endorsements will help you in your business, as our USANA Athletes and Ambassadors are very high profile Athletes, who genuinely LOVE our products. Check out the notice board on the door! Talking about the initiative, Raymund Padilla, our Network Development Manager in New Zealand explains, “We have such good USANA Ambassadors and Athletes and I wanted to encourage Associates to build their winning team by taking advantage of the Winning USANA Team!” So if you live in New Zealand, make sure you pop in and see us! The room is ready for YOU!